The Bucknell House Plan has been adapted from a custom floor plan and is perfect for the smaller family footprint. Looking for ideas? 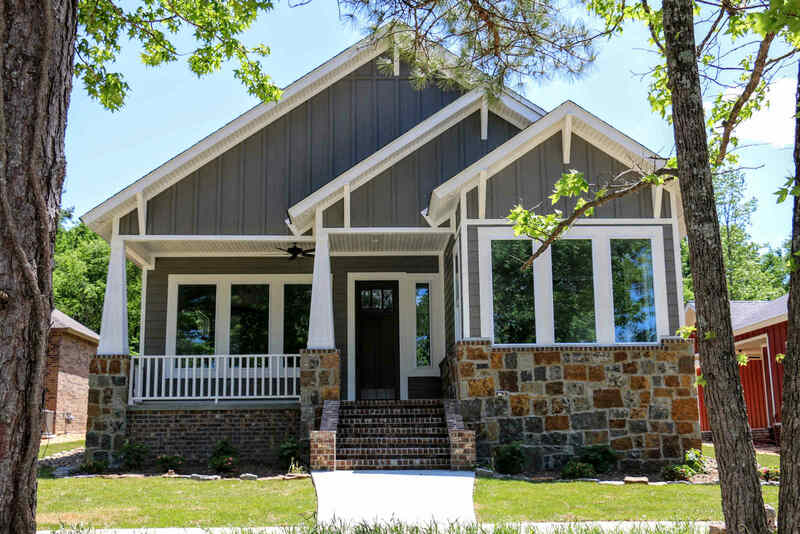 Tour the Bucknell home through the photo gallery, below -- and then call us today at 501-258-5101 to discuss how we can build your future Saline County home, just a few miles away from Little Rock, Arkansas. Click on any photo to start a slideshow featuring interior and exterior design elements of the Bucknell home in Olde Salem Township. Use them as inspiration for your own design choices and visit one of our Open Houses to take a closer look. Cozy 2 bedroom, 2 bathroom home with classic features. A welcoming front porch is a sign of what's inside. A smaller home with a roomy feel througout the 2 bedroom, 2 bathroom design.